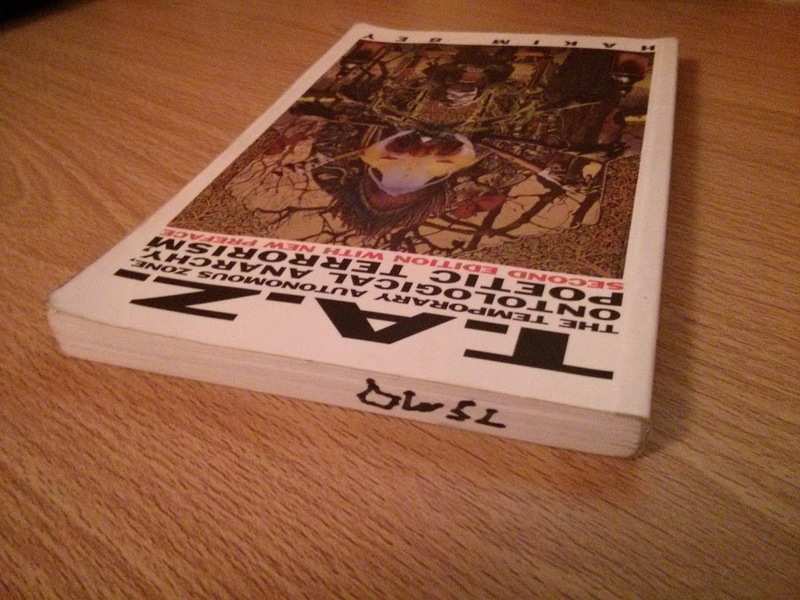 Do you remember the OWS Library books? What they looked like. How we labelled them. How they were organized? Perhaps you picked one up and saw that we had written “OWSL” across each side with a permanent marker. Perhaps you saw one with our stamp on it, or even a bookplate. Or maybe you were writing with that marker, or cataloguing them, or sorting them. The People’s Library, Day 17. So, where are these books now? On November 15, 2011 under orders from then Mayor Michael Bloomberg, the New York Police Department (NYPD) and the City of New York Department of Sanitation (DSNY) dismantled and destroyed the People’s Library of Occupy Wall Street under the pretence of “cleaning” the park. 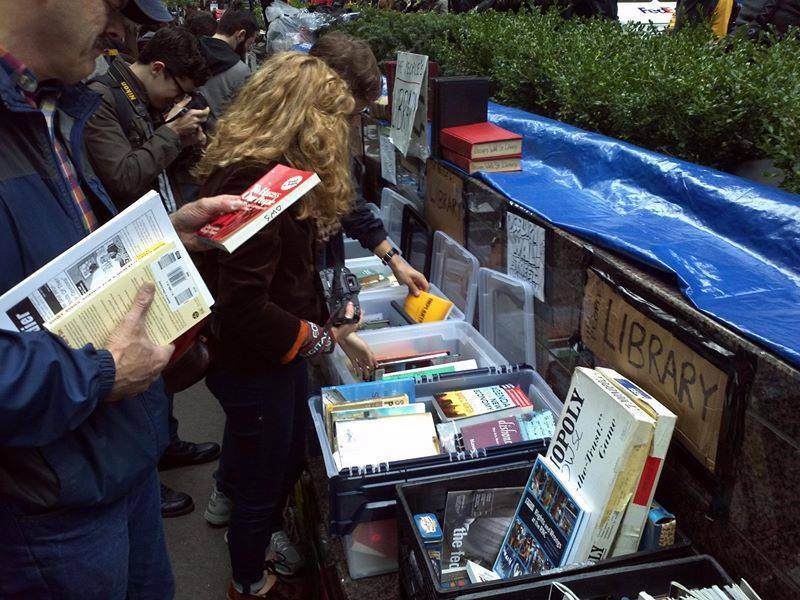 Along with the kitchen, medical tent, residences of occupiers and more in Zucotti Park, all of the library’s books, zines, newspapers, media, computers, and other materials were thrown into trucks by sanitation workers and brought to a DSNY garage on 57th Street. Of the approximately 3,600 books seized that night, only 1,003 were recovered. Of that number, 201 were so damaged while in the possession of the City of New York that they were made unreadable. Thus, at least approximately 2,798 books were never returned or were damaged beyond repair. The first book I entered into our online catalogue. When TAZ was donated, I held onto it, keeping it close. For me it was a perfect book for our occupation, for our library – at least, for what I imagined both to be. We all had that one book, or books. Those certain books we loved, that we were surprised to see when they were donated – that we smiled at between the piles of romance novels, Bloomberg biographies, and other less-wanteds – those books that you just knew someone gave because it made so much sense for it to be in this library. Hakim Bey’s TAZ, with OWSL scrawled on the top. I’m writing about our books now, about what one of our librarians called the “dregs of the library” – what was left after the attack, what was salvageable, and unsalvageable. Do you have an OWS library book? Don’t worry, there is still no due date, we don’t want them back. We want them to keep living out there. But I would love to hear the story of your book, whether you were an occupier, a visitor, a volunteer, a working group member, a patron, anyone – tell me your People’s Library book stories. And share a photo if you can of your book(s). Post in the comments, and email me your story, your photos, anything you’d like to share. I’ll post your stories here if you want that, so others can hear about where the books ended up, or not, it’s up to you. Just a reminder that libraries never really vanish. “From this perspective I think perhaps the least useful part of the book is its section on the Internet. I envisioned the Net as an adjunct to the TAZ, a technology in service to the TAZ, a means of potentiating its emergence. I proposed the term ‘Web’ for this function of the Net. What a joke. … The Web has become a perfect mirror of Global Capital: borderless, triumphalist, evanescent, aesthetically bankrupt, monocultural, violent—-a force for atomization and isolation, for the disappearance of knowledge, of sexuality, and of all the subtle senses. I wasn’t at OWS, nor do I have any OWS books. But I wanted you to know that this is a groovy follow-up project. I hope you collect more stories. As merely a third-party observer, I find them fascinating. Hey! Just thought I’d mention I made a copy of the catalog for some data visualization stuff back in 2011: https://archive.org/details/OWSLibraryThingExport this went along with the “virtual memorial” http://occupylibraries.tumblr.com/ (that unfortunately got shut down when Google bought ITA Software—the Tumblr page is still alive though).